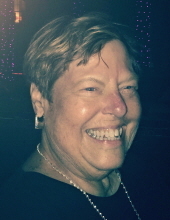 MADISON-Judith Ellen Breunig, 76, passed away unexpectedly in Fitchburg, Wis., on Tuesday, Jan. 29, 2019. Judy was born in Orange, N.J. on May 31, 1942, to parents Fred and Anita Schwarz. Judy was happily married to Fred Breunig for over 40 years. Fred passed away in 2011. Judy leaves her children Kevin and Kathryn; as well as, two granddaughters, Kilee and Shannon. Judy is also survived by her sisters, Anita Westberg, Carol Laughlin Lory, and Debbie Pierre. Judy earned her Masters Degree in Education and spent her career serving children as an elementary school teacher. As a teacher, Judy dedicated her life to contributing to the lives of others, and we could feel that sentiment every time we were around her. Whether Judy was talking to a student, a friend or a family member, she gave to us a sense of love and warmth and support. She had a way of making you feel like you could accomplish anything. And her smile lit up her entire face during those conversations. We will miss those cherished conversations with you, Judy. Her recent years were filled with the love of her community at Northern Lights Village as well as with music and cooking. She was also known among her friends and family as a trivia whiz. Judy’s most cherished moments were spending time with her family and friends. To celebrate Judy’s life, A Mass of Christian Burial will be held at ST. BERNARD CATHOLIC CHURCH, 7450 University Avenue, Middleton, at 11:30 a.m. on Monday, Feb. 4, 2019, with Father John Meinholz presiding. Visitation will be held from 9:30 a.m. until the start of Mass on Monday with a luncheon to follow. Memorials may be made to The Literacy Network of Dane County. Online condolences may be made at www.gundersonfh.com. "Email Address" would like to share the life celebration of Judith Breunig. Click on the "link" to go to share a favorite memory or leave a condolence message for the family.